A safari tour to Ssezibwa falls will make you experience fresh air which comes from the tree canopy, the place has got a unique shade which is so conducive for the visitors who travel to Ssezibwa falls. The place offers spectacular views of brown and white waters which flow down the trees. These falls are located 10 kilometres of Kampala kayunga road in Mukono district; this area has got unique features which will make your visit an experience in Uganda. These are also referred to as Uganda’s cultural site; there is a chance of driving through the canopy of the trees. The local people have greatly visited this place for cultural purposes since they consider it to be an ancestral ground for the past people. This place has greatly attracted many people to come for safaris to Uganda. The local people use the branches of the trees to rest as they listen to the cool voices of the birds. 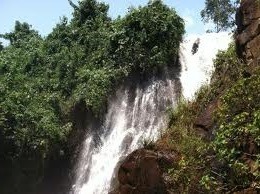 Ssezibwa falls is one of Uganda’s cultural sites and it has attracted many cultural safaris which have helped in raising high revenues to the development of the tourism sector. Other cultural sites include; wamala tombs,Kasubi tombs and many other. The site has also got some caves which have attracted many worshippers to the place, during their free time. they visit the place and spend overnights praying to the cultural spirits which are located in the area. Visitors can also engage in guided walks through the trees and a chance to interact with the local people.